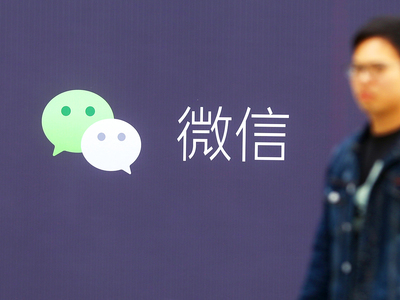 WeChat, China's top messaging app with over one billion monthly active users as of March, will add more mini programs to its platform as part of its efforts to unlock new business potential, a top company official said on Wednesday. Speaking at the Fifth World Internet Conference in Wuzhen, Zhejiang province, on Wednesday, Pony Ma Huateng, chairman and CEO of Tencent Group, said: "WeChat mini programs are an innovative breakthrough in the field of mobile internet and the new infrastructure for interface capabilities, which enables more good apps to be embedded in WeChat." By doing so, mini programs provide services with a platform for better internet connection and create more opportunities for web traffic, he added. Mini programs are mobile applications of less than 10 megabytes built for and within the WeChat platform, which includes games, food delivery, shopping, government services, home services, image editing and more. Users do not have to download these mini apps separately. For app developers, they only need to extract the core functions of the products and have them built into mini-programs, without developing separate programs and terminal adaptation. For example, the shared bike company Mobike has a mini-program that enables users to locate bikes, unlock them and top-up their account. Since their launch last January, WeChat mini-programs have garnered 200 million daily users, rolled out 1 million mini-program apps, and attracted the participation of more than 1.5 million developers and 2,300 third-party development platforms. They have also connected one billion users and over 200 categories of businesses. In the past year, mini-programs have enabled direct information consumption of 209.7 billion yuan (30.3 billion U.S. dollars), which is equivalent to 4.7 percent of the total information consumption of China in the same period, according to data on the social and economic impact of WeChat released by the China Academy of Information and Communication Technology in April. Due to the platform effect of mini-programs, employment growth has also risen. According to estimates, 1.04 million new jobs are related to mini-programs and of these 380,000 were those directly created by mini-programs last year. "WeChat mini programs are looking to tap more living scenarios, empower each WeChat user with new productivity and promote the innovative development of the digital economy. We hope mini-programs will bring internet benefits to billions of people and build better lives for people," Ma said.